John Jenkins Wilmore is shown with the building that bears his name, the Wilmore Laboratories. 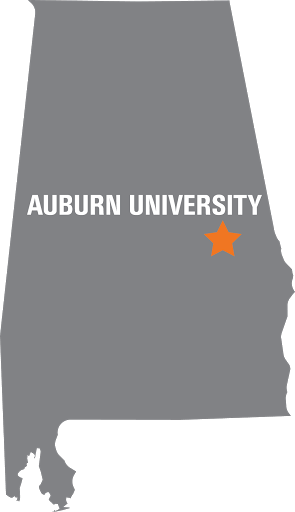 Auburn University Libraries has opened “John Jenkins Wilmore: Engineering Education” a new exhibit in the Auburn University Libraries’ Special Collections and Archives Department. The exhibit tells the story of Wilmore’s life and work, including 55 years at Auburn University, through his letters, essays and photographs. The archives recently acquired the papers of the former dean of engineering which include Wilmore’s personal papers and family records dating back to 1834. Wilmore began his career at Auburn in 1888 when he designed a steam engine that was used to generate electricity for Langdon Hall and Old Main. 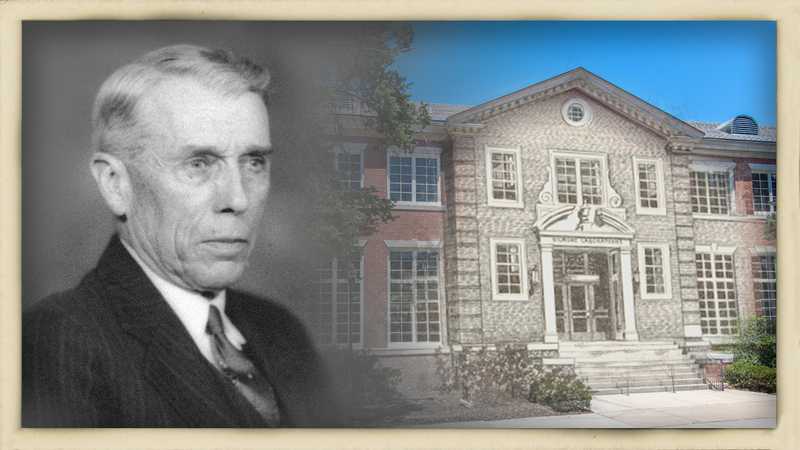 He served as dean of engineering from 1907 until his death in 1943. Wilmore worked alongside Bolling Crenshaw, Luther Duncan, George Petrie and many others who shaped the university during the beginning of the 20th century. The exhibit will continue through December and is located on the ground floor of the Ralph Brown Draughon Library inside the Special Collections and Archive Department. It is open to the public during regular Special Collections and Archives hours, which may be found online. For more information, go to https://www.lib.auburn.edu/specialcollections/index.php.